Autumn ushers Napa Valley into harvest season, one of the best times to visit the nation’s premier wine region. 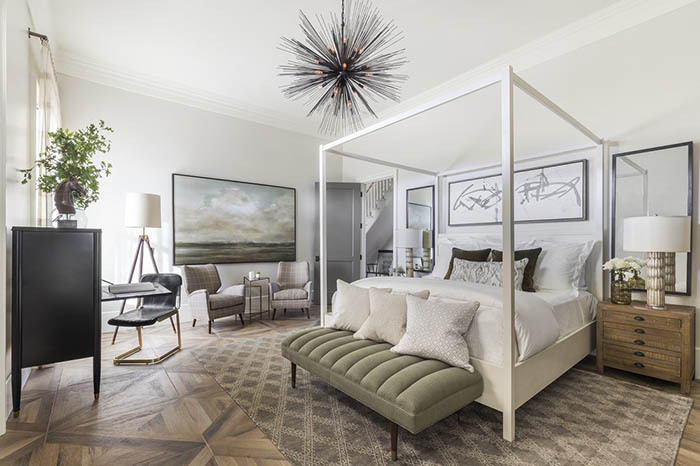 Though last year’s wildfires ravaged parts of the California valley, rebuilding has been quick, and there have been a spate of new openings, like the Ink House, an ultra-exclusive, four-room boutique hotel in St. Helena. The colonial-style mansion’s wide, wraparound veranda offers a vista of vineyards and the rolling hills beyond; inside, modern accents (a chandelier of brass vines) spice up the homey atmosphere. 圣赫勒那Ink House里的大流士客房。图片来源：Courtesy of The Ink House. One of the perks of staying at the Ink House: unfettered access to Brian Woolery, the property’s chef—his scrambled eggs defy gravity—and all-knowing concierge. Here’s what he recommends. Best new restaurants: The Charter Oak, the casual St. Helena restaurant started by three-Michelin-star chef Christopher Kostow and Meadowood’s Nathaniel Dorn, is phenomenal. The atmosphere, the food, the cocktail program, the wine program—everything about it is the epitome of what a great place to eat should be. In downtown Napa, there’s the Mexican restaurant Gran Eléctrica (the original is in Brooklyn). There’s an amazing bar with a range of tequilas and mezcals. It’s a fresh twist on Napa Valley dining that isn’t your typical farm-to-table approach. Hottest wineries: The proprietor of Sinegal Estate in St. Helena may be an heir to Costco, but you would never know it from his winery. Sinegal has a private tasting lounge that’s filled with modern art and a gorgeous estate surrounded by gardens. Its reserve red is absolutely delicious. Aonair is also in St. Helena, and the tasting experience overlooks its stunning vineyards. Family owned and off the beaten path, it is technically part of Conn Valley. Try its Mountains Reserve red blend. Sober escape: Check out the Culinary Institute of America in St. Helena, where you can take a half-day cooking class with some of the best chefs in the country. 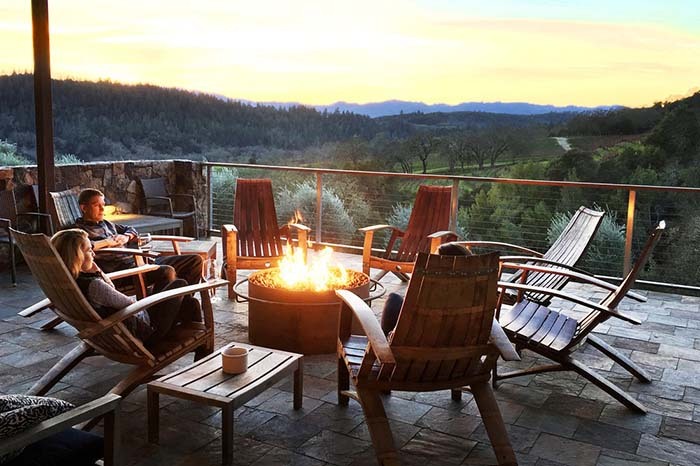 Nearby, there’s Health Spa Napa Valley—it has an outdoor pool and Jacuzzi as well as a full menu of massages, facials, and other treatments. It’s an ideal way to relax and get a break from tastings. Our guests get complimentary passes. Locals’ secret: Lunch at Rutherford Grill. Sit at the bar and be amazed by how many winemakers you’ll see and hear meeting their colleagues and friends, bringing fresh barrel samples, and talking about them. The food is also excellent—the steak enchilada with butternut squash is unexpectedly delicious. Things to avoid: Not knowing how far places are from one another, a lot of people think Napa and Sonoma are a quick drive apart. But on most days, it takes at least an hour to get from one to the other. Consider focusing on one appellation—St. Helena one day, Howell Mountain another—with one or two preplanned tastings. Leave time for yourself to take locals up on their recommendations—if you’re getting along really well with the tasting-room manager at, say, Darioush, he’s going to recommend other places you might like. You’ll arrive in the valley via private jet or helicopter to Napa County Airport. We’ll pick you up in the house car, a Bentley, and check you in at the Ink House (which will be all yours for the night), before whisking you off to the Meadowood Spa for some post-travel pampering. You’ll meet with a wellness therapist, who will oversee your treatments, and enjoy a 90-minute culinary experience in your personal spa suite. After the spa you’ll do a private tasting at Promontory, an exclusive winery in the heart of Oakville that’s famous for its Bordeauxstyle Cabernet. Back at the Ink House, Top Chef alum Casey Thompson will prepare a gourmet dinner to round out the day.